Black women are subjected to both racism and sexism; those who achieve privileged status are also the targets of classism. 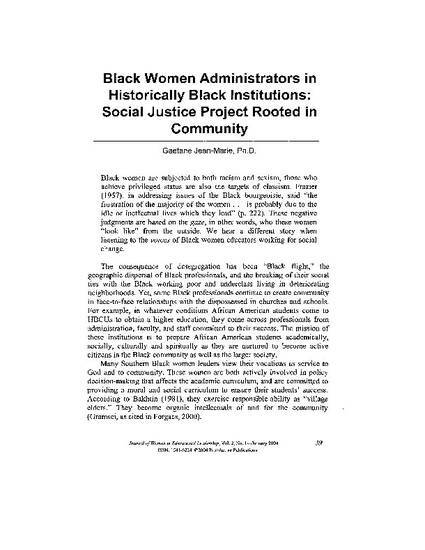 Frazier (1957), in addressing issues of the Black bourgeoisie, said "the frustration of the majority of the women ... is probably due to the idle or ineffectual lives which they lead" (p. 222). These negative judgments are based on the gaze, in other words, who these women "look like" from the outside. We hear a different story when listening to the voices of Black women educators working for social change.